Colorado Mountain Express will hold its 20th annual "Fill the Van" event on Saturday, Nov. 18. Shoppers at local grocery stores are asked to buy a few extra items of nonperishable food, which will go straight to the food pantry at the Vail Valley Salvation Army. Can you spare a turkey? 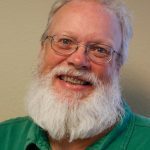 While most food drives ask for nonperishable goods, KZYR radio and the Vail Daily are asking for donations of turkeys this Thanksgiving season. Drop off frozen birds of any size at either the Vail Daily’s office in Eagle-Vail or at KZYR’s office in The Riverwalk at Edwards. For more information, call KZYR at 970-926-7625 or email Vail Daily Business Editor Scott Miller at smiller@vaildaily.com. EAGLE COUNTY — In a time of celebrating abundance, a surprising number of Vail Valley residents are hard-pressed to make ends meet. The Vail Valley chapter of the Salvation Army and Colorado Mountain Express are working to help, and you can help this week. Local Salvation Army Director Tsu Wolin-Brown said local food drives fill a critical need this time of year. While Salvation Army promotional materials state that “need knows no season,” this season is always a tough one for many local families. Wolin-Brown said the Salvation Army’s food pantry right now is helping feed more than 550 locals. “There are a lot of people who are planning on starting seasonal jobs, and those jobs haven’t started yet,” Wolin-Brown said. That level of need quickly depletes local food pantries. That’s where a 20-year tradition plays a role. This is the 20th year that Colorado Mountain Express has run its Fill the Van program. Shoppers at local grocery stores on Saturday, Nov. 18, are asked to buy a bit of extra nonperishable food — from peanut butter to dried pasta — and put it into a CME van outside the store. Cash and checks are always welcome, too. 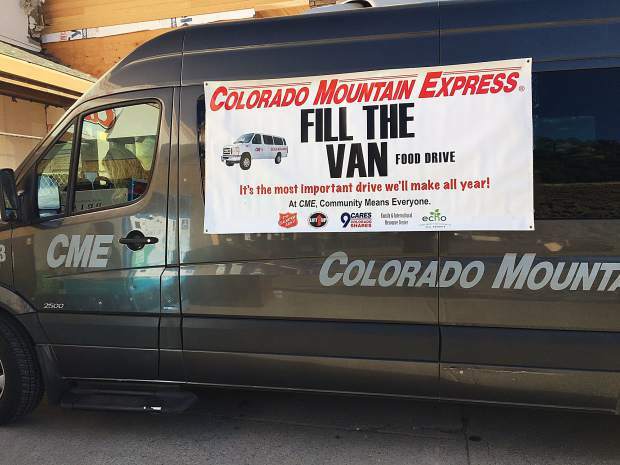 John Dawsey, the vice president and general manager of CME, said the Fill the Van efforts have been successful, not just in the Vail Valley, but in Summit County and the Roaring Fork Valley. Dawsey said 100 percent of all food and cash donations go straight to local food banks and their nonprofit groups. In 2016, the efforts around the Rockies collected more than 50,000 pounds of food and more than $7,000. This year’s goal is simple: exceed last year’s totals. That’s likely, since CME — a subsidiary of Vail Resorts and part of that firm’s EpicPromise community contribution program — this year also will collect food and cash at the Vail Resorts’ corporate office in Broomfield. Food and money collected there will go toward food banks in that area. The CME effort gets a lot of help from local emergency service agencies and other volunteers. “We’ll have plenty of coffee and doughnuts for people who are helping us out,” Dawsey said. For Vail residents who miss the Fill the Van event, nonperishable food can be left at the Vail Police Department office at the Vail Municipal Building through Wednesday, Nov. 22. Wolin-Brown said there are other efforts to help fill local food banks. In particular, the Four Seasons Resort in Vail is donating $35 for every takeout Thanksgiving meal sold this year. But Thanksgiving this year — it’s an early one, on Thursday, Nov. 23 — has put a wrinkle in the timing of the various food drives. This year’s Fill the Van event coincides with the day Salvation Army volunteers make Thanksgiving food baskets for families. In years past, a lot of Fill the Van food went into those baskets. Still, the Fill the Van food continues to fill a need, and Wolin-Brown said the tons of food will be depleted quickly. Fill the Van and the annual Thanksgiving basket project are just the start of the Salvation Army’s holiday efforts. Bell-ringers will soon appear outside local stores. That effort isn’t the only Salvation Army fundraiser, but it’s the biggest in the valley, raising more than $52,000 in 2016. The goal for this year is $55,000 — or more. Whatever comes in, whether food or cash, may be used quickly, but it’s always needed and always gratefully accepted. “It’s amazing what we get,” Wolin-Brown said.